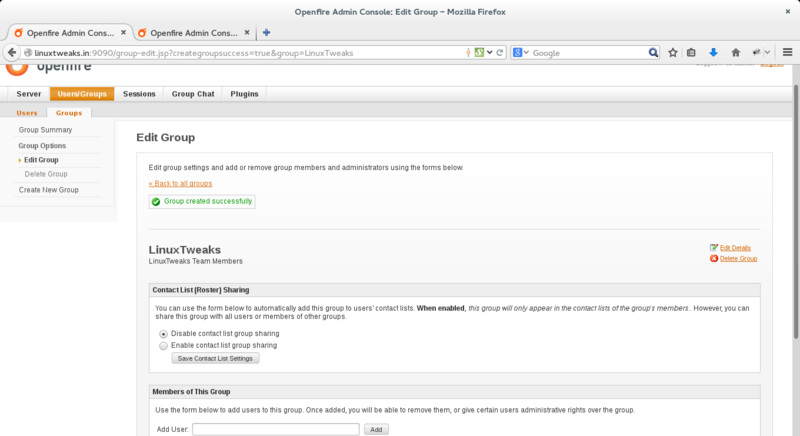 Before starting configure openfire users or group first you need to install openfire your server. if you havn’t installed then click here to install with this article. if you already installed then proceed with the following. 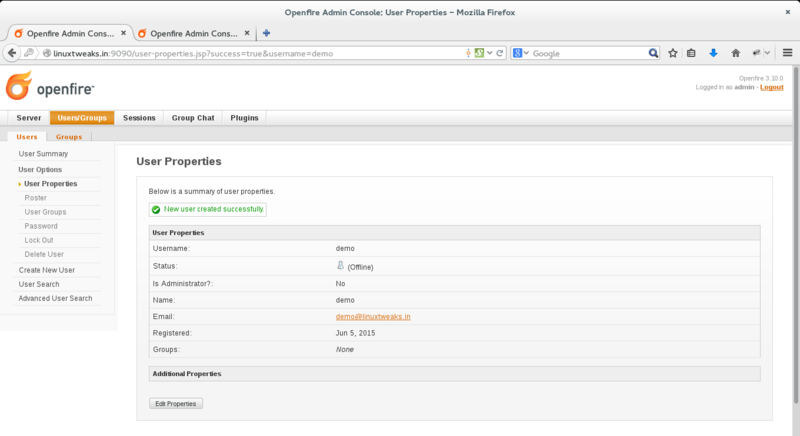 After you login to your Openfire admin interface click from top menu “Users/Groups”. 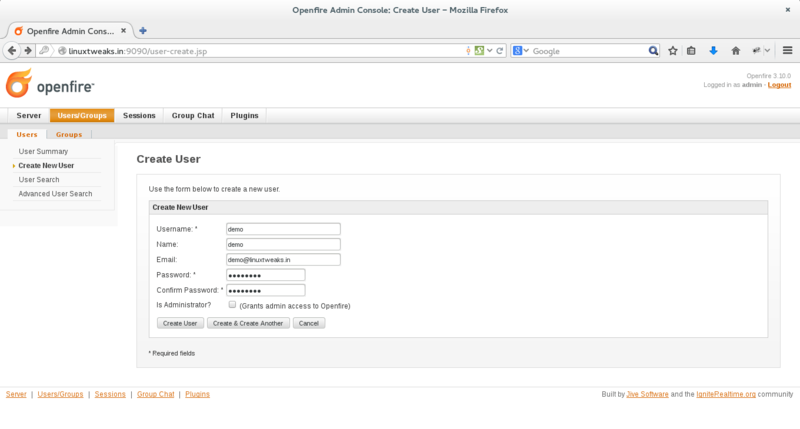 Login to admin console by going on https://www.linuxtweaks.in:9090/ or http://yourserverip:9090/ from top menu choose Users/Groups and then Create New User from left menu. 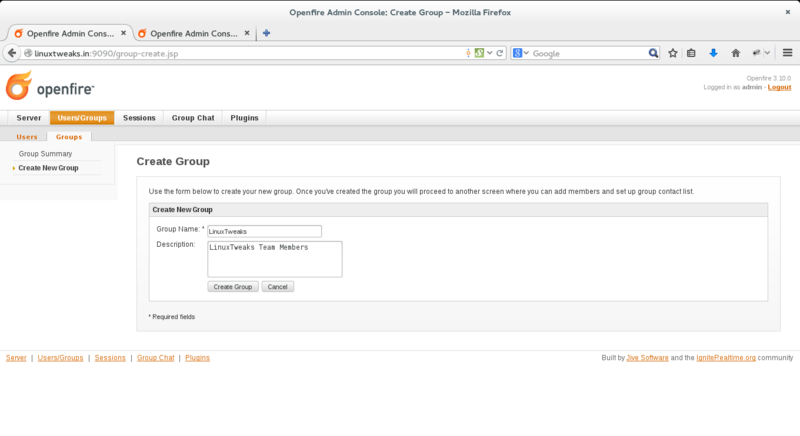 Login to admin console by going on https://www.linuxtweaks.in:9090/ or http://yourserverip:9090/ from top menu choose Users/Groups and then navigate to Groups and click on Create New Group. 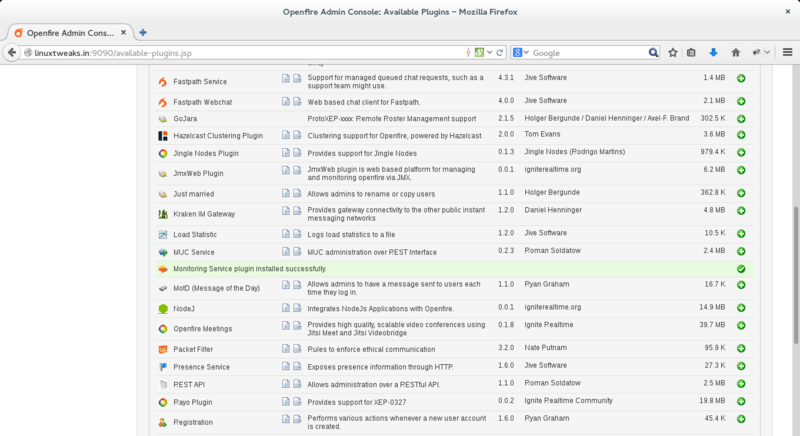 Here i am installing “monitoring service” plugins to store & see all conservation. 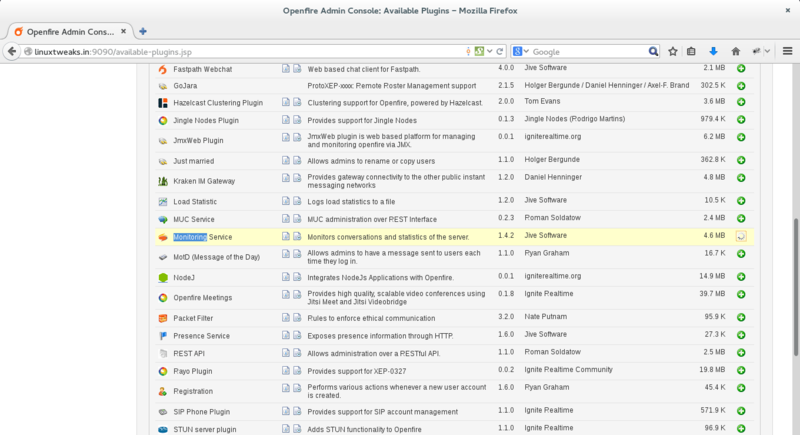 Search for monitoring and click on right side + button to install. 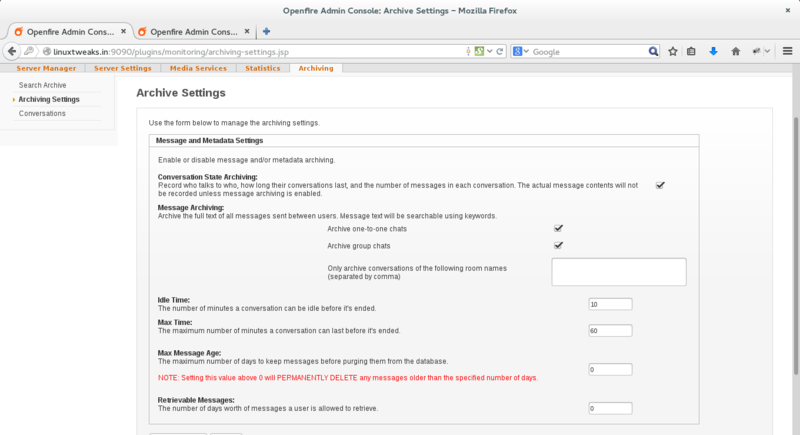 Conservation Archive Setting to save and see all chat record on server. 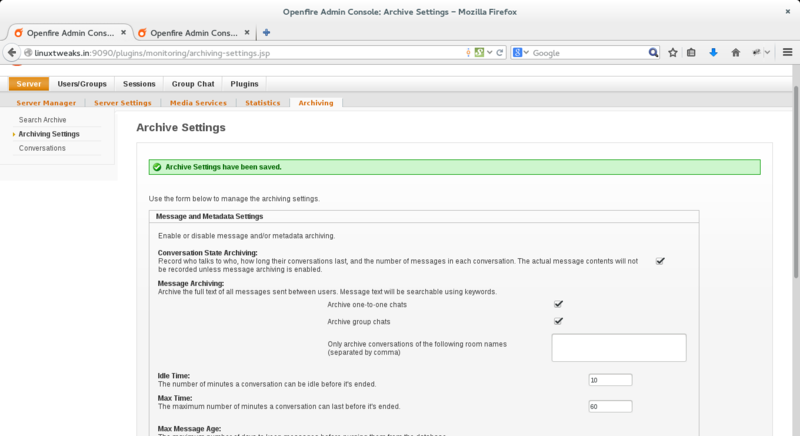 Click on “Update Setting” and see the below screen as shown. 1. 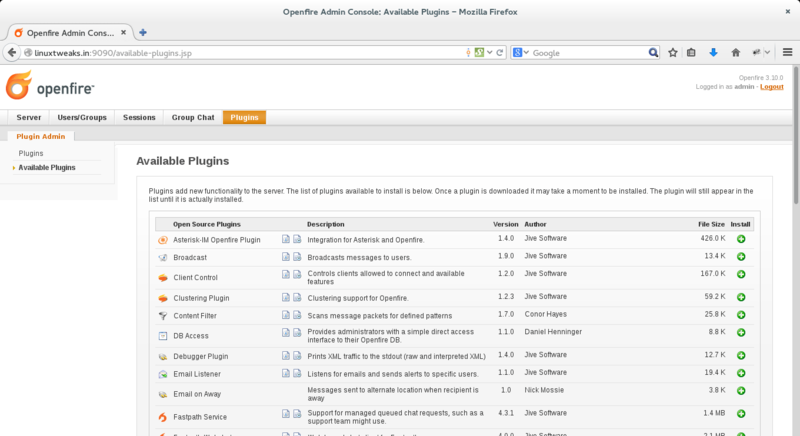 Configure Pidgin chat client with Openfire. 2. 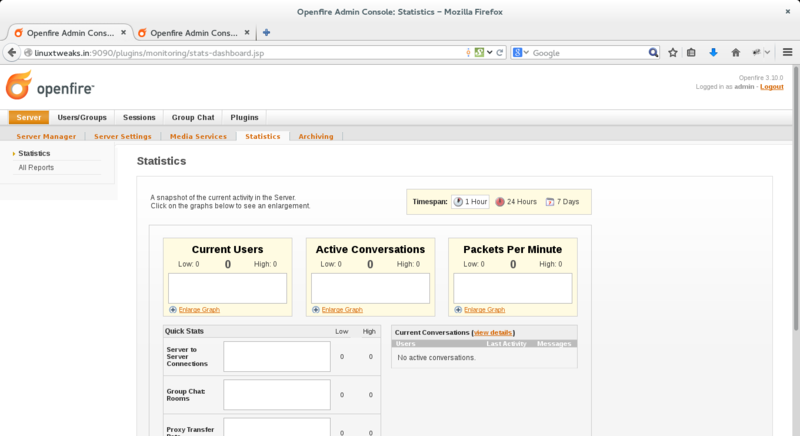 Configure Spark chat client with Openfire.